The mission of Turn PA Blue is simple: win state elections. Gerrymandered districts have weakened the power of our votes. Democrats are dangerously outnumbered in the PA House and Senate and cannot protect a veto by Governor Wolf. It’s time to work outside the box to make a change! Our power lies within our collective ability to erase the artificial boundaries that were created to weaken our voices. To accomplish this, Turn PA Blue will engage and mobilize volunteers across state district lines to ensure support is provided where it is needed most. To put it bluntly, Turn PA Blue is focused on changing the political landscape in Pennsylvania. 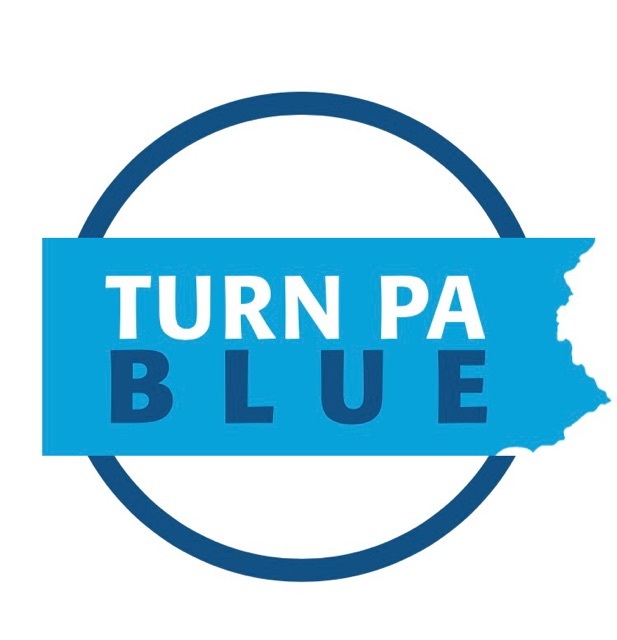 Please fill out this form if you would like to help Turn PA Blue, receive updates, or update your contact information (as this form has recently changed).